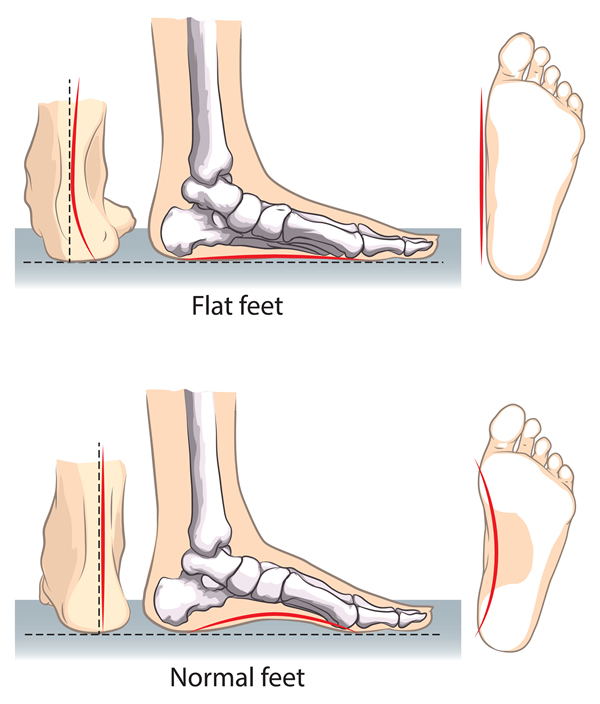 What are the causes of Flat Feet? Many times flat foot or flat feet is caused when the arches of the foot don’t develop properly from childhood. In other cases, flat feet or flat foot can be caused by the arch falling over time due to age or overuse of your foot and ankle. Conditions such as arthritis can cause a flat foot. What are the Symptoms of a Flat Foot? Swelling and discomfort or pain either side of the foot and ankle. Should I treat a Flat foot? It is always useful to seek a Podiatrist opinion. Visit us for Complete Foot Care advice at the Balcombe Foot and Ankle Clinic .Treatment of flat feet may include prescription orthotic insoles, footwear advice, physical therapies plus stretching and exercises.